"So sorry to hear of Omar's passing. Loved watching him in Dr Zhivago, and also One Night with the King. He was an icon in my book. He also will live on in his movies." "A great actor who shall be greatly missed. I enjoyed all his movies as a child. May God rest his soul and give his family peace in their hearts." "My thoughts and prayers are for your family.... 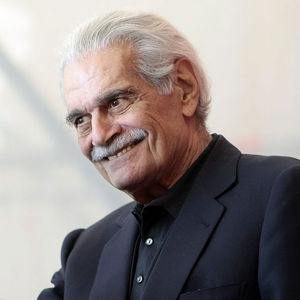 Thanks for all the wonderful movies...Your star will shine forever.......Rest in Peace......."
"personal today myself i express our sorrow and sympthie to family of greal friend and actor omar sharif and i pray to good now also in order to keep now him also forever in glory of angels and in paradise. king el omar sharifakis-john lytistis-july. 10 2015 2015-montreal pq.-canada."